Issaquah International Film Festival Hit Cinebarre and screen gems like an Italian flick from 2013 called Still Life. 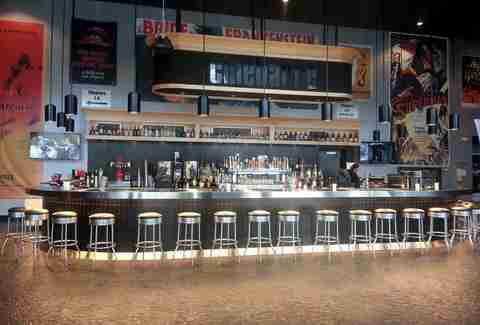 Admission is free so feel free to load up on popcorn and Sprite at this sweet Eastside theater. Issaquah International Film Festival Cinebarre Hit Cinebarre and screen gems like an Italian flick from 2013 called Still Life. Admission is free so feel free to load up on popcorn and Sprite at this sweet Eastside theater. Seattle Bike Show This two day event is your chance to check out the latest biking products, take part in interactive biking events, hang in the beer garden, and then buy a fixie, obviously. Tickets are just $10. Seattle Bike Show CenturyLink Field Event Center This two day event is your chance to check out the latest biking products, take part in interactive biking events, hang in the beer garden, and then buy a fixie, obviously. Tickets are just $10. 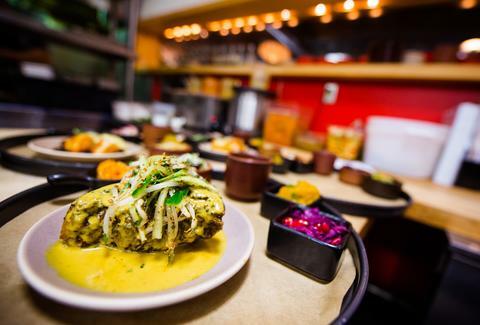 Dine Around Seattle From the 1st to the 31st, 63 restaurants, including Marjorie, RAVISH, and Pomerol will be part of Dine Around Seattle. 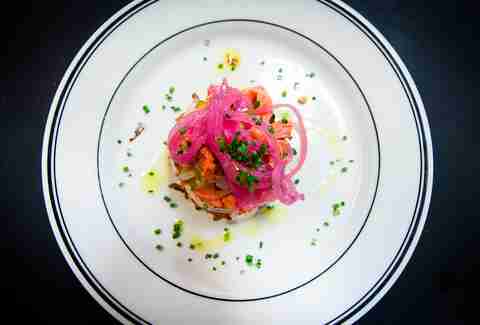 Nab a three-course pre fixe dinner for $33 and a three course pre fixe lunch for $18. Dine Around Seattle Various locations From the 1st to the 31st, 63 restaurants, including Marjorie, RAVISH, and Pomerol will be part of Dine Around Seattle. Nab a three-course pre fixe dinner for $33 and a three course pre fixe lunch for $18. Seattle Bourbon & Bacon Fest Be sure to wear your stretchy pants to this badass three-hour eat & drink fest, where $65 gets your eight sips of bourbon and eight bacon-based bites. Seattle Bourbon & Bacon Fest Fremont Foundry Be sure to wear your stretchy pants to this badass three-hour eat & drink fest, where $65 gets your eight sips of bourbon and eight bacon-based bites. St. Patrick’s Day Parade Get your green on and hit the streets for the annual Seattle St. Patrick’s Day Parade; things start at 12:30pm around 4th and Jefferson and roll by Westlake Park before ending at Seattle Center at 2pm. St. Patrick’s Day Parade 4th and Jefferson Get your green on and hit the streets for the annual Seattle St. Patrick’s Day Parade; things start at 12:30pm around 4th and Jefferson and roll by Westlake Park before ending at Seattle Center at 2pm. Irish Festival From noon-6pm on Saturday and 10am-6pm on Sunday this free festival celebrates the finest of Irish culture, including music, dancing, cultural exhibits, and much more. Much more = food. 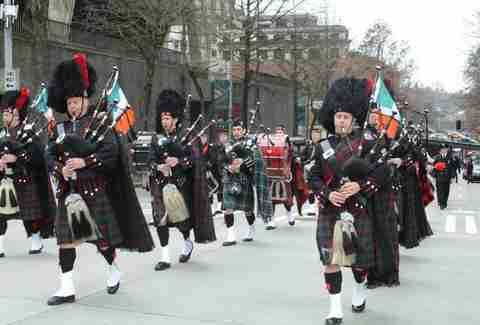 Irish Festival Seattle Center Armory From noon-6pm on Saturday and 10am-6pm on Sunday this free festival celebrates the finest of Irish culture, including music, dancing, cultural exhibits, and much more. Much more = food. Moisture Festival This unpredictable comedy/variety show, runs into April, with highlights including standup as well as clowns, acrobats, aerialists, and more. Tickets are $25 a pop. 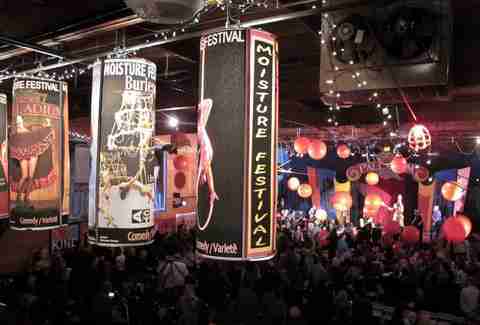 Moisture Festival Hale’s Palladium This unpredictable comedy/variety show, runs into April, with highlights including standup as well as clowns, acrobats, aerialists, and more. Tickets are $25 a pop. Gaelic Games Field Day From hurling to camogie, there are a number of Irish sports you might not even be familiar with. Acquaint yourself at the Gaelic Games Field Day. Keep an eye on GG’s Facebook page for game schedules and hit the after-party after the big game. Gaelic Games Field Day Magnuson Park From hurling to camogie, there are a number of Irish sports you might not even be familiar with. Acquaint yourself at the Gaelic Games Field Day. Keep an eye on GG’s Facebook page for game schedules and hit the after-party after the big game. 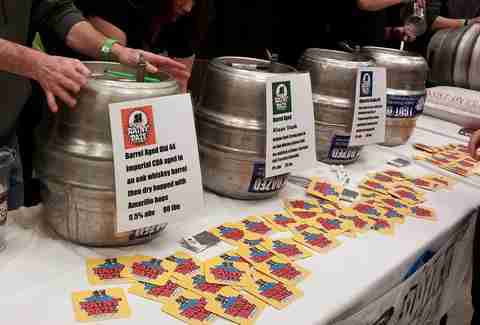 Cask Beer Festival For $40 you get a tasting glass and up to 25 samples of one-of-a-kind handcrafted cask-conditioned suds. Designated drivers get in for just $5. Cask Beer Festival The Seattle Center Exhibition Hall For $40 you get a tasting glass and up to 25 samples of one-of-a-kind handcrafted cask-conditioned suds. Designated drivers get in for just $5.